Crispy on the edges and chewy in the center, these green tea cookies are oh so very tasty and addictive. Simple to make with only four ingredients, you’ll have cookies ready in less than 20 minutes. Is anyone as addicted to green tea as I am? Or cookies that are both crispy and chewy? As you can probably see, I’m still in my stressed out and indulging mode. But don’t worry, that’ll be over in a few days. Less than two days till the exam! I can feel the nervousness building up. That awful butterflies fluttering in my stomach feeling. They tell you to do relaxing things before the exam, but really, how am I supposed to do that when it’s all I think about? I really need more chocolate. 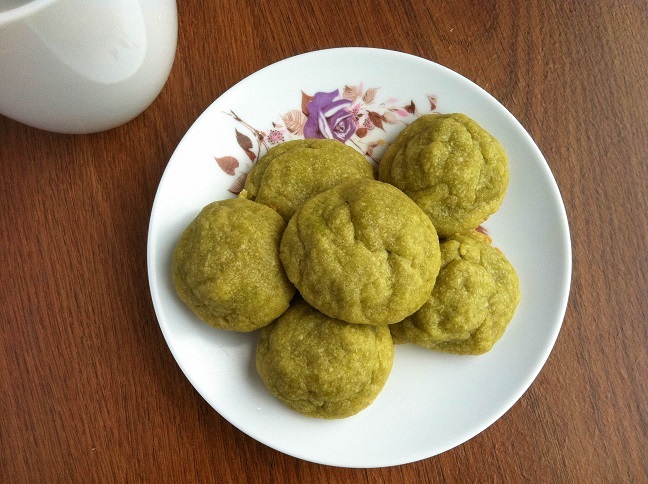 Or maybe more of these green tea cookies. Something, anything, to calm me down. 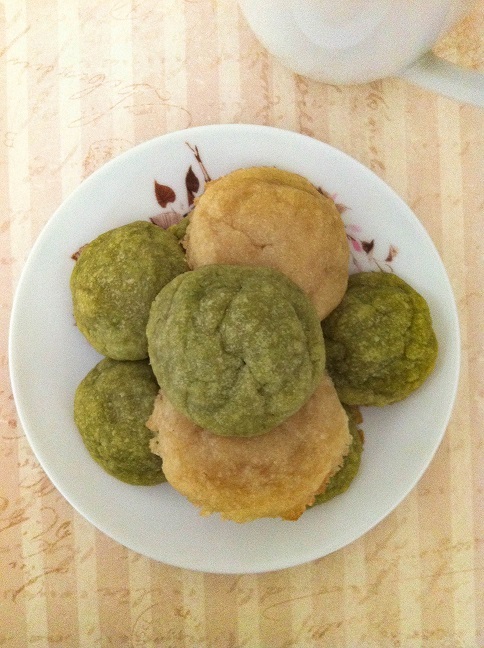 With these green tea cookies, I made two separate batches. One batch of green tea cookies with regular butter and a second batch of vegan green tea cookies made of Earth Balance Vegan Butter. As much as I wished they tasted exactly the same, there is a little bit of a vegetable oil taste with the Earth Balance. My sister thinks it tastes similar to soy, even though it’s soy free. That vegetable oil taste occurs when you first bite into the cookies, but a few seconds later, your taste buds adjust and all you taste is the green tea. If you’re looking for a healthier alternative or a vegan alternative, Earth Balance Vegan Butter is something you should try. The recipes are completely the same. Just substitute butter with vegan butter. 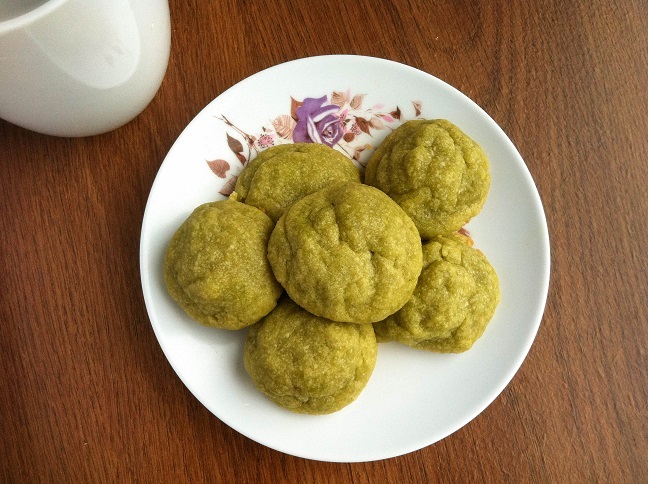 With this recipe, you’ll have green tea cookies ready in less than 20 minutes. And because I really didn’t want to overindulge, my recipe only creates half a dozen. But it’s very easy to scale them to fit your needs. First, preheat the oven to 375oF. Line a cookie sheet with parchment paper. In a medium sized bowl, use two forks to cream the butter. You want to break the butter into small pieces. 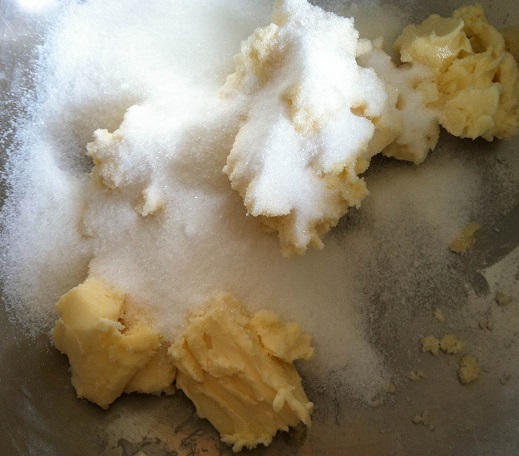 Add in the sugar, and combine them until both ingredients are evenly distributed. 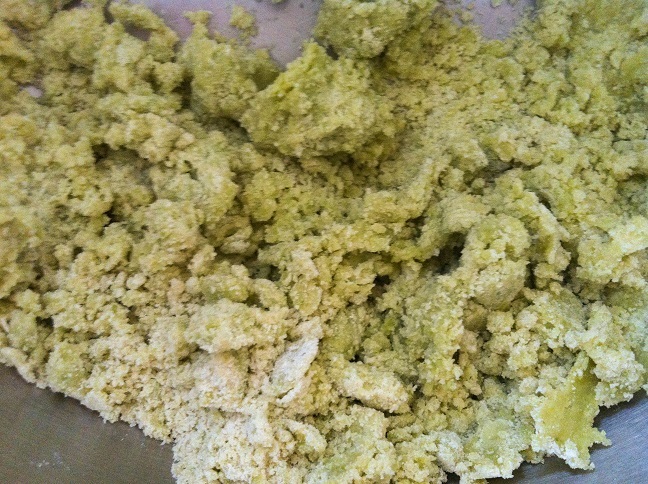 Add in the green tea powder and the flour. Mix them until they’re all evenly combined and crumbly. 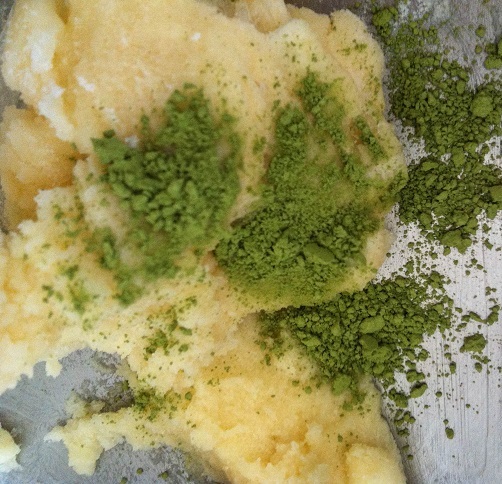 The green tea powder that I used is the Maeda-En Matcha Green Tea Powder . One container looks tiny, but it’ll last you a long time because you don’t need much to get the flavor. 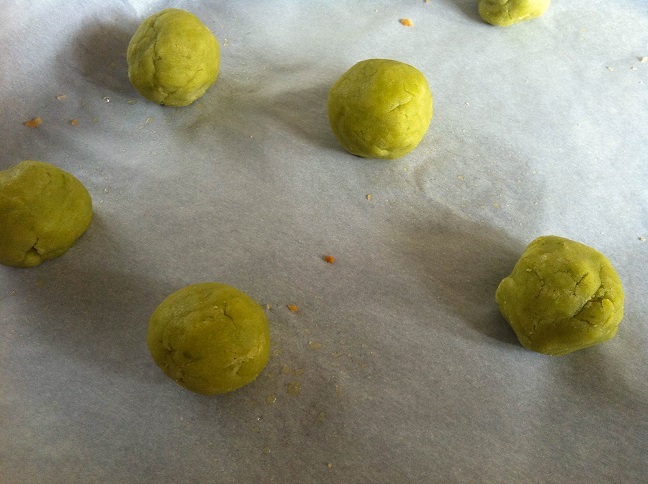 Roll the dough into little balls, about one inch in diameter. It doesn’t really matter if it’s smaller or bigger. Place them onto the parchment paper lined baking sheet. Place them in the oven and bake for about 10-12 minutes. Remove them from the oven. The cookies will appear soft and not ready, but allow them to cool for about 5-8 minutes. They’ll start to harden. Serve the cookies warm or cold. Enjoy! 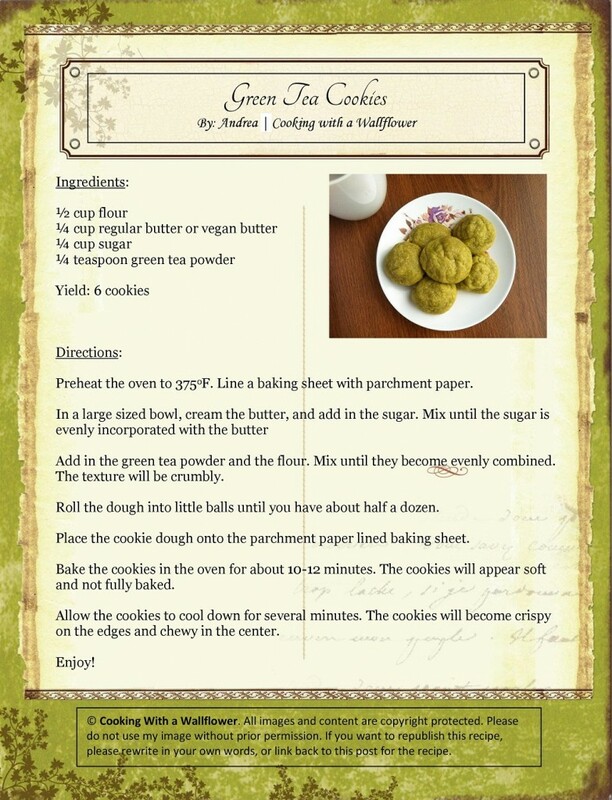 I hope they’ll like the green tea cookies. Just curious, did you use regular butter or vegan butter? And the feedback from my line manager was that they were yummy and moist! I made them using the convection oven function of my microwave, so I baked them for 17-18 minutes and was afraid I’d overdone them, but they were fine. They kind of remind me of shortbread because of the ingredients. Not a tea person, but I would be glad if I would be offered one of your cookies here with my caffe latte. A caffe latte sounds so good right now! Wow!! I am definitely going to try this out!! Looks delish 🙂 As soon as I can follow you I will do that too 😉 Looking forward to learning more recipes. Will definitely try your recipe sometime. 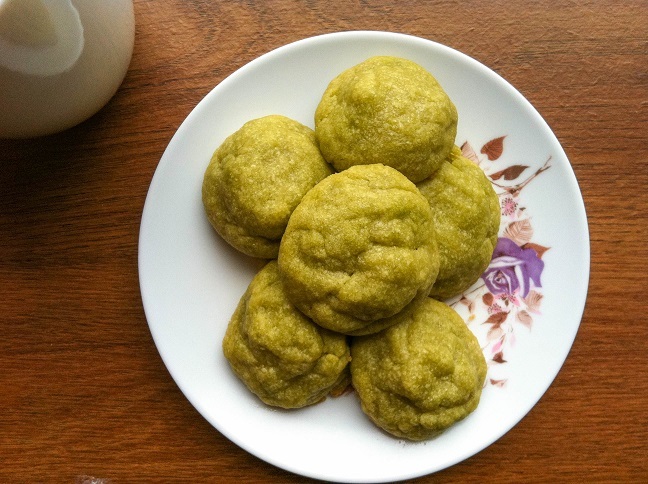 I’ve been using tworedbowl’s matcha shortbread recipe and it turned out great.